Make history on your wedding day and begin your life together in the unforgettable beauty and charm of Plimoth Plantation. Choose a serene outdoor ceremony on Plimoth Plantation grounds in the beautiful setting of the Hornblower Garden. This elegant garden was designed in 1920 by the Olmstead firm. 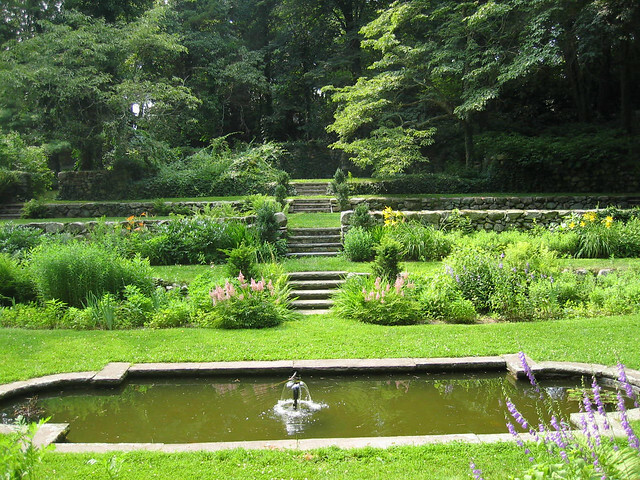 With its terraces and water features it is a well preserved example of an early 20th-century formal perennial garden. Or, rich with the symbolism of setting out on a journey of a lifetime, you might choose to make your vows on the deck of historic Mayflower II docked in Plymouth Harbor. After your ceremony, choose some of our many romantic backdrops for wedding photographs. Please click on the photo below to view some of our unique location settings! Thank you for making our wedding the best day of our lives! Everything was beyond perfect. You catered to our ever need and made all our wishes a reality. Our guests still compliment the beautiful garden and view from the tent. Food and drink was amazing! Thank you for everything you did to make our wedding magical.